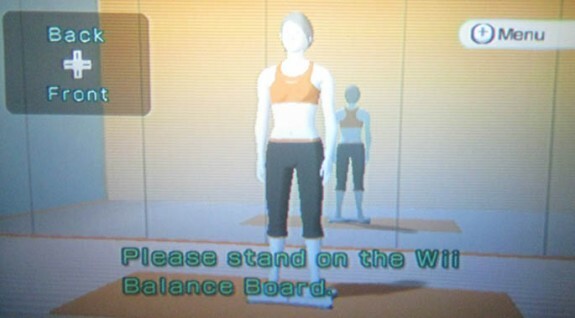 Thin Post : A Return to WiiFit? I’ve been saying for a while that I need to incorporate more stretching into my workouts, so the last couple of nights I finally whipped out the old WiiFit and decided to give that another whirl. I can see already that my biggest contender once again is going to be time because even though my basic stretching routine is right around 20 minutes, it’s really easy to get caught up in it and want to spend a little time playing the balance games and whatnot afterwards. Which ironically enough is actually a good thing, until I catch myself weighing exercise time with the other things that I need to be doing, anyways! My goal is to take it nice and slow, though – maybe try to take a little time for it every other night, or even just every third night … sometimes just my quick yoga stuff, and sometimes doing some of the other games, too. I also really enjoy the soccer game, and the one that’s kinda like Marble Madness, but with your body as the controller. The one thing I’ve decided that I won’t be doing, however, is the Body Test every single day because as far as I’m concerned, it’s just as bad as using the scale every day … possibly even more so because I’m playing in the evening rather than the morning when I normally weigh-in (conflict #1), plus my weigh-ins are rarely ever at the exact same time (conflict #2). It’s just too much negative reinforcement floating around my head, and right now I need all of the positive weight loss vibes that I can muster!